Getting feedback from readers is not an everyday occurrence for the publishing team of Siled ti Kararag, the Ilokano edition of The Upper Room. Sometimes we get stories from our distributors telling us how difficult it is to sell and collect subscriptions. So, when we receive good feedback and reader testimonies, we rejoice. Pastor Modesta Miguel is a retired pastor in the Philippines. For a year, she subscribed to 25 copies of each issue of Siled ti Kararag to share as a gift with her small group members. “I want to help people to grow and be nurtured in faith,” she said. We are also glad when we receive emails from our international subscribers. Dr. Art Guillermo and his wife live in Iowa, U.S. Art’s father was one of the first translators of Siled ti Kararag. Art gets the English edition of The Upper Room regularly at church, but he also appreciates receiving Siled ti Kararag because it helps him keep the Ilokano language, he said. 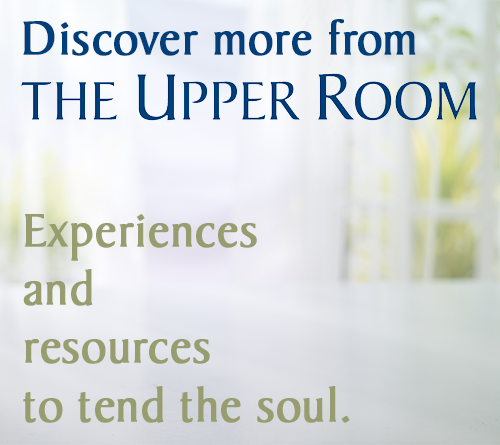 Upper Room Ministries is a not-for-profit ministry unit of Discipleship Ministries of the United Methodist Church and receives no world-service or denominational funding.